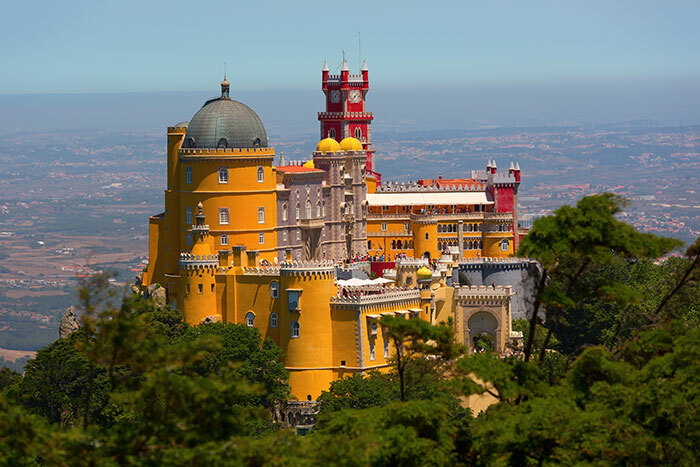 Located high in the Sintra hills, the glowing yellow facade of Pena Palace can be seen from as far as Lisbon. The Moorish castle dates back to 1503 and it has been rebuilt many times over the years. The crown-jewel of UNESCO-listed Sintra sits within acres of beautiful gardens, and is considered among the Seven Wonders of Portugal. At night, low clouds often shroud the palace, giving it a dazzling air of mystery; a sight not to be missed. Perched on a rocky islet and circled by ocean waters, that first glimpse of Mont Saint-Michel is unforgettable. Lying just off the Normandy coast, all 250 acres of Gothic cloisters and Romanesque monastery buildings that make up this spectacle are now classified as a UNESCO World Heritage site. In fact, Mont Saint-Michel is one of France’s most iconic images – the towering spires reach dramatically from the sea and, at night, it’s jaw-droppingly beautiful, illuminated by golden lights which reflect the glittering ocean. The largest ancient castle in the world, this incredible building covers an area bigger than seven football fields. Standing on Opys Hill overlooking Charles Bridge, Prague Castle is home to centuries-old myths and legends. You’ll need plenty of time to explore the maze of courtyards, lanes, gardens and historic buildings, including St Vitus Cathedral. If you’re looking for even more magic, stay at the Augustine Hotel. The Tower Suite is at the top of a medieval astrological tower, eye-level with the castle. Start your morning gazing at this incredible view with a coffee; the stuff of fairy-tale dreams. Plan your Europe holiday with a little help from our Travel Experts, and chat to our Travel Butler concierge team about booking tickets to the best castles on the continent.